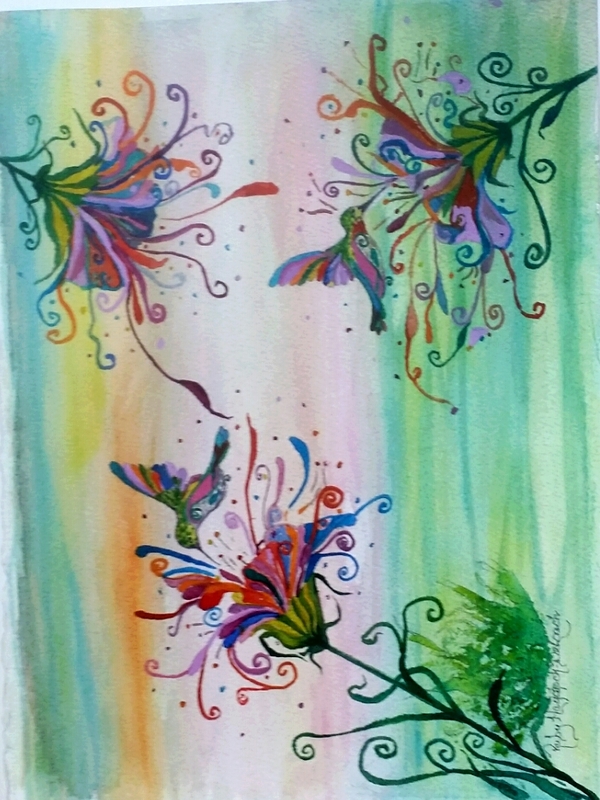 Hummingbird Paradise / Watercolor / 14" x 16"
Directions: From the SC State House take US 1 (Gervais St.) west. Turn right onto Assembly St., then left onto Elmwood Ave. to continue to I-26 West. Take Exit 91 (Chapin/Columbia Ave.) and turn left onto Boundary St. at Mt. Horeb Lutheran Church. Cross over railroad tracks and Chapin Rd. onto Murray Lindler Rd. Stay on Murray Lindler Rd. and take a right onto Dutchman Shores Cir. Studio is 5th house on right.